Bringing humanity to a business powered by data. 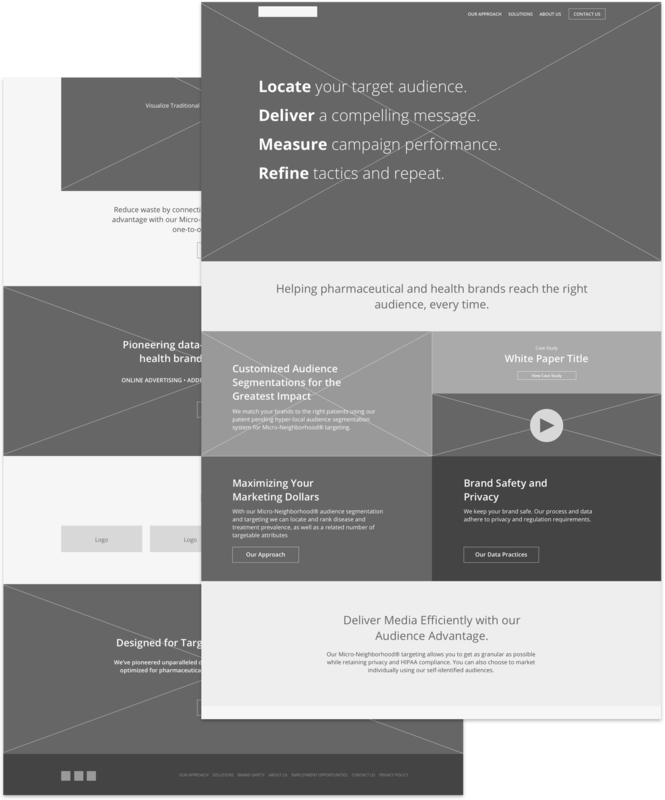 Medicx Media is a heavily data driven programmatic and marketing solutions firm specializing in pharmaceutical, health, and wellness brands. They work with these brands to implement, monitor, and adjust cross-channel campaigns on an epic level using a micro targeting method they coined as Micro-neighborhood targeting. They came to us needing not just a website, but a digital brand evolution. Our goal was to allow their marketing and sales team foster new relationships while remaining authoritative to their existing customers. This isn't the Matrix, it's Medicx Media... A fully architected set of sites that run even if the world stops. Strategized and format a totally new website that directed users through digestible sets of information and then to get in touch with their team. The users showing up at the website most likely won't end up there on accident. But if they do, we needed to ensure a proper introduction and let users know who they work with. This was an exercise in setting content context. 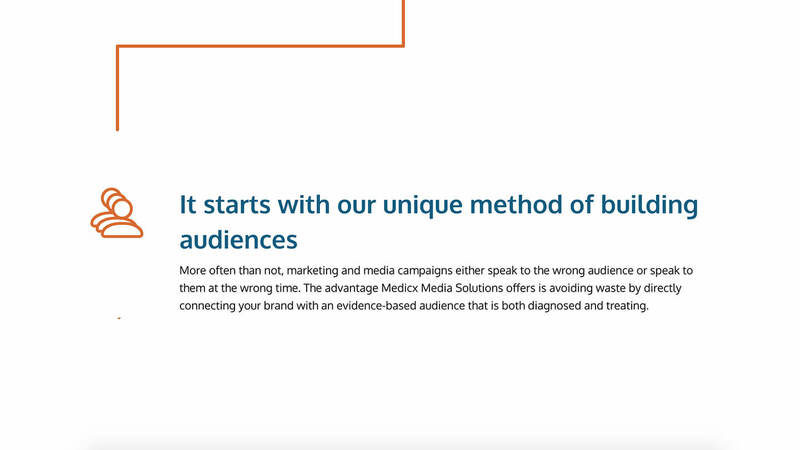 When Medicx Media came to us, they had a ton of copy, but it was difficult to understand both in how it was written and how it was structured throughout the site. We did a heavy amount of content strategy and copy editing along with custom design and development. The leadership team didn't want to implement a blog for content marking on their site, that's one thing they don't do, but we decided to gear them towards doing white-papers they could swap out every month that showed they're still very much on the pulse of the industries they work with and through that feature have a value add that their audience will navigate back to the site for each month. We wanted to incorporate an animated element that helped lead users through the content on many of the pages throughout the site. We brought in animated line paths that bring users from one section of content to another and also helped break up the large amount of copy on these pages. Wire-framing the information helped us keep the information palatable. For Medicx Media, there was a need to make the large amount of copy - feel light. We needed a way to section out information and rich media assets. So we created a grid of modules that could be built and stacked together. Doing this helped form digestible blocks of information that would continually reveal information without feeling like an insurmountable wall of copy. Medicx Media Solutions is a national company with offices in Phoenix, Chicago, and New York.